10,699 EMI starts from Rs 3,638 ? 13,699 EMI starts from Rs 4,658 ? 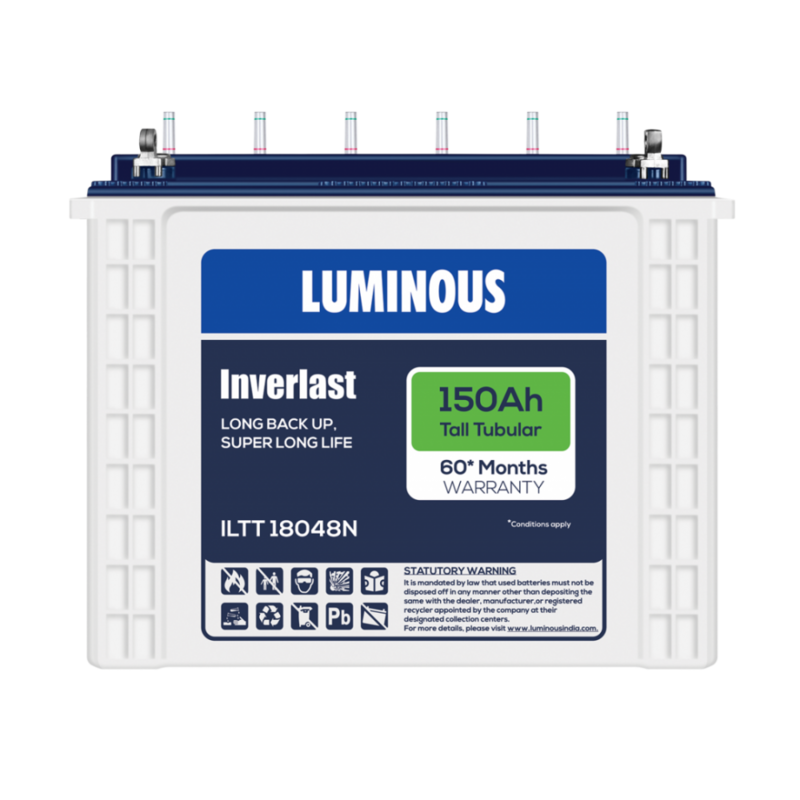 Luminous ILTT 18048 150 Ah Battery has unique patented alloy composition, which protects the lead part of battery from corrosion. It reduces electricity consumption, which in turn saves money. It has superior performance and extremely long life. It is manufactured using HADI High pressure casting machine, which helps to maintain, uniform grain and void free structure. Luminous 150ah Battery has extremely high purity, corrosion-resistant proprietary spine alloy composition which ensures longer battery service life. Feel free to call Moxikart.com to get Luminous 150ah battery price.